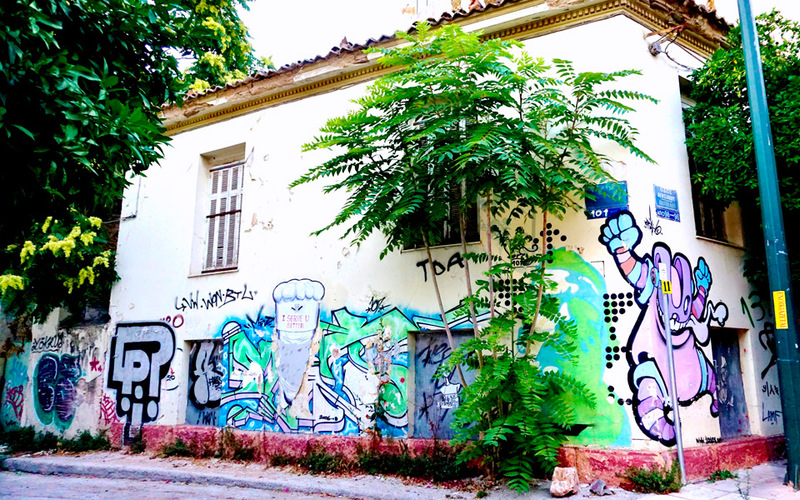 It’s something visitors to the city comment on often ‒ Athens has a graffiti problem. Over the years the city’s graffiti problem has spiraled out of control as local authorities struggle to find funds for the cleanup and to keep up with vandals who move straight back in before the paint has dried over their previous embellishments. The Greek capital has a strong street art scene and works of art that enhance the city are highlighted on walking tours. Street art aside, however, the mindless scribbles of anyone with a can in their hand has led to layer upon layer of slogans, tags, stenciling and cartoons that have spoiled the cityscape. In one famous incident in 2013, the entire exterior of the city’s historic Athens Polytechnic was covered with sprawling black and white graffiti in just a single night by an unknown artist. Now, Athens Mayor Giorgos Kaminis has launched a drive to clean up the city’s walls and target the nuisance of unsightly graffiti that plagues the city. Speaking about the effort, Kaminis said he considers graffiti a “smudge” on the city, which has made a negative impression on both locals and visitors alike. The cleanup drive began on March 23 at the walls of the city’s main cemetery. An area around Panepistimiou Avenue will follow. The mayor has invited city residents to join the effort. “This is a large effort that has been going on for a while in which we want the residents of the city actively on our side. We want to protect public spaces,” he said.